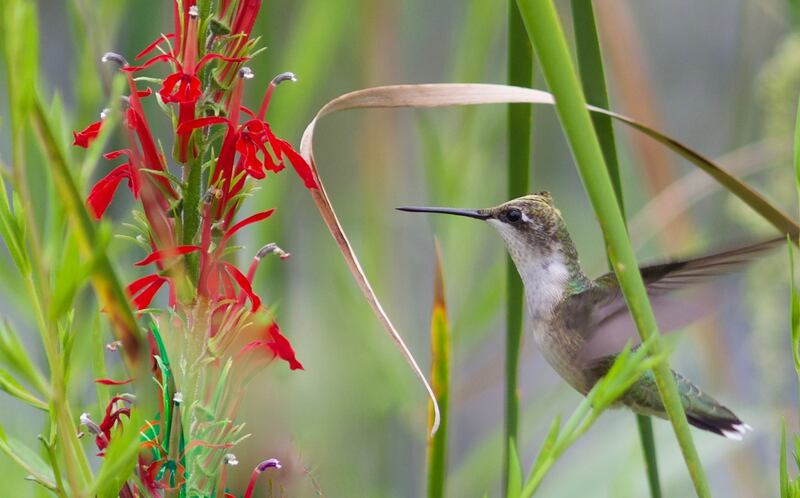 The bright, scarlet cardinal flowers (Lobelia cardinalis) blooming in Dyke Marsh in August and September 2017 are delighting many visitors, including migrating hummingbirds. “The tube-shaped flowers have two lips, the upper having two lobes and the lower lip so fragile, many insects cannot land on the plant to reach the nectar,” according to the guidebook, Walking the Wetlands. “Thus, pollination is accomplished chiefly by hummingbirds. 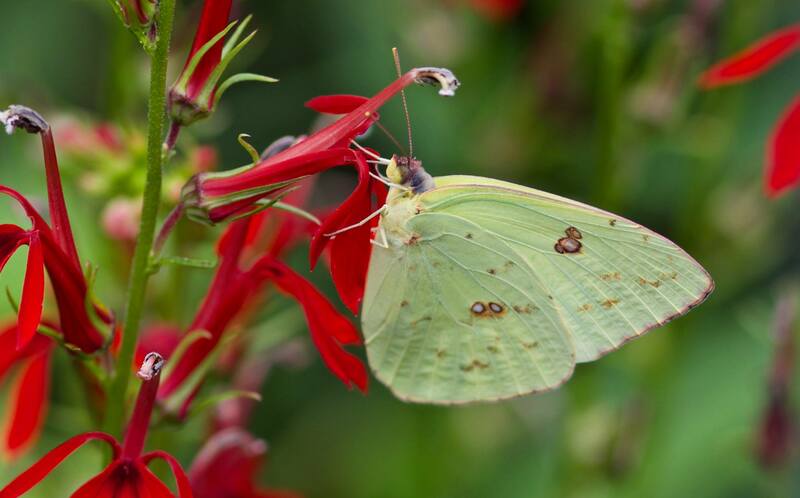 The hummingbirds do not need to alight and their long tongues are adapted for easily reaching the nectar deep within the flower.” FODMer Ed Eder photographed a visiting hummingbird on August 26 and the cloudless sulphur butterfly (Phoebis sennae) nectaring on cardinal flowers on August 22.